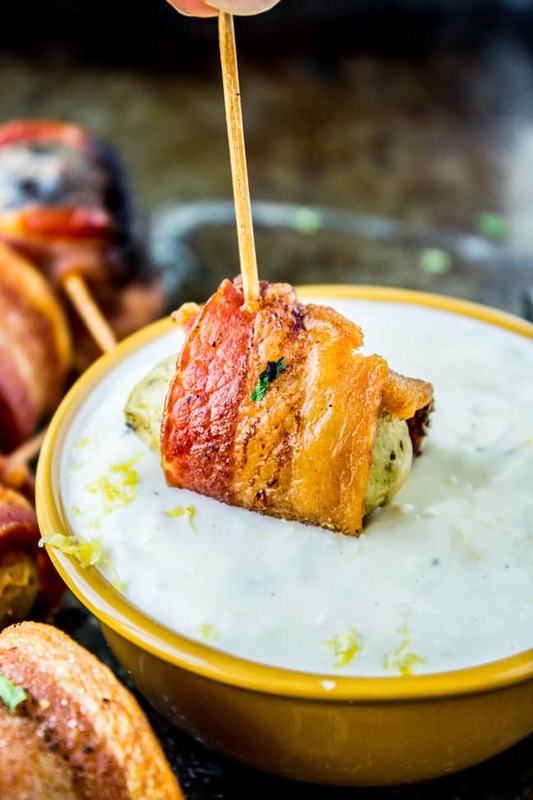 These super easy appetizers are huge crowd pleasers! I mean how can you go wrong with bacon and pineapple? 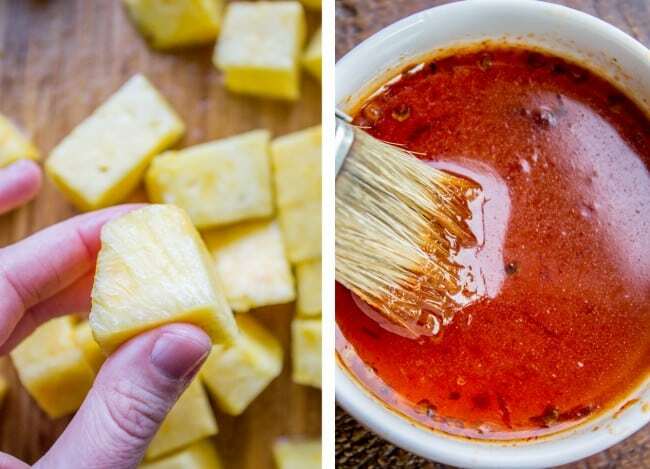 Brush with a 2-ingredient honey chipotle glaze, and before you know it you’ve eaten an entire pineapple single-handedly. 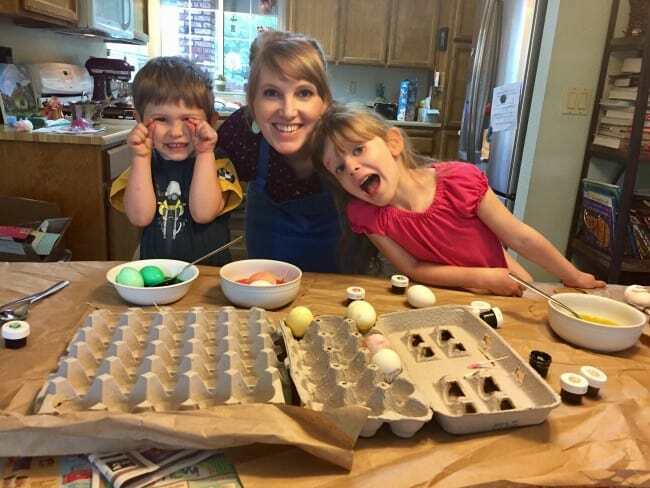 Does anyone know where the tradition of the Easter Bunny hiding eggs came from? I just read all about it on Wikipedia and apparently people used to think rabbits were hermaphrodites and could reproduce without the loss of virginity, which became associated with the virgin Mary. And orthodox churches used to abstain from eggs during lent, so they would boil them to preserve them. Cool right? I also learned that rabbits are capable of superfetation: becoming pregnant when they are already pregnant. And THEN I read that this can happen to humans. Is this a cruel joke?? Truman is also horrified by this idea. Just kidding, he just really didn’t want to wear his Easter outfit. Did you guys have a nice Easter? We had a great day at church and with family, in spite of the rain. I tried all day to get a picture of all of us in our Easter best but it just didn’t happen. These morning snuggles will have to do. 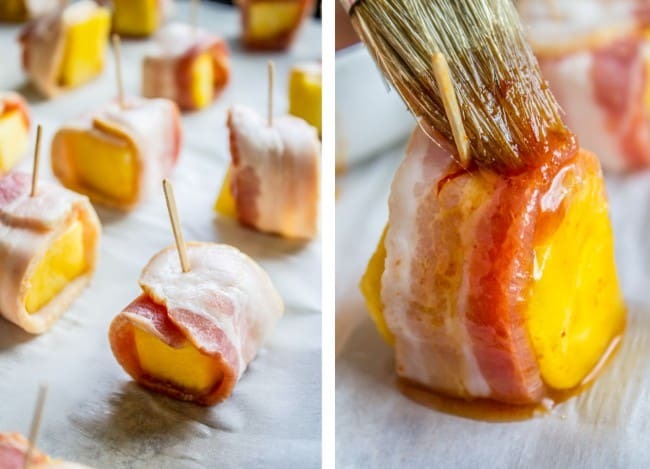 Bacon wrapped pineapple, guys!! 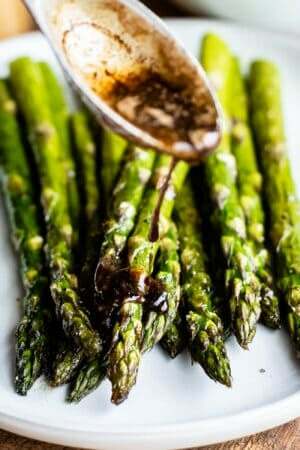 Guess what’s in the 2-ingredient honey-chipotle glaze? Trick question! It’s just honey and some chipotle blended up together. You can add in a splash of water if you’re having a hard time blending (It’s a pretty small amount). You brush it on before it goes in the oven AND after, so make sure you separate it into two bowls (one for raw bacon, one for cooked bacon) and wash your brush while it’s in the oven. Have you ever used chipotles before? I love these little peppers. 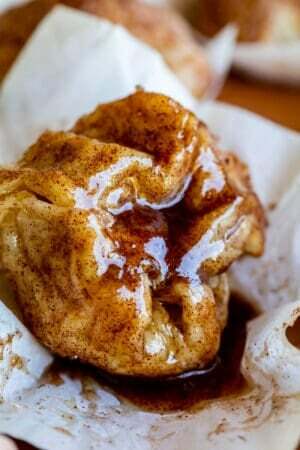 They come in a can full of adobo sauce and seriously pack a spicy punch. I never use a whole can, so I throw whatever I don’t use in the freezer. 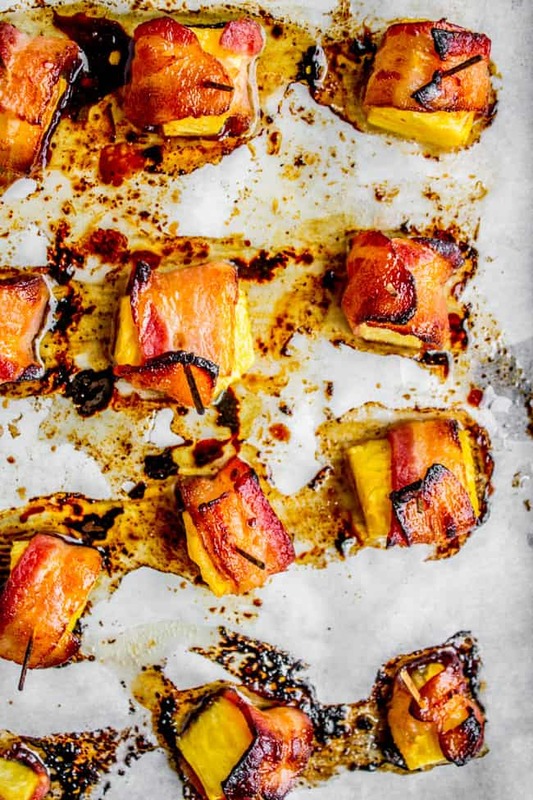 So that when I get a random craving for bacon wrapped pineapple I can make it happen, stat. You can use as much as you want in the recipe to make it as spicy (or not) as you want. Wishing you all a Happy late Easter! Line a large baking sheet with foil (or don't. It just makes for easier cleanup.) No need to grease it. Chop up a pineapple into bitesize pieces. Like 1 to 2 inch pieces (see photo). 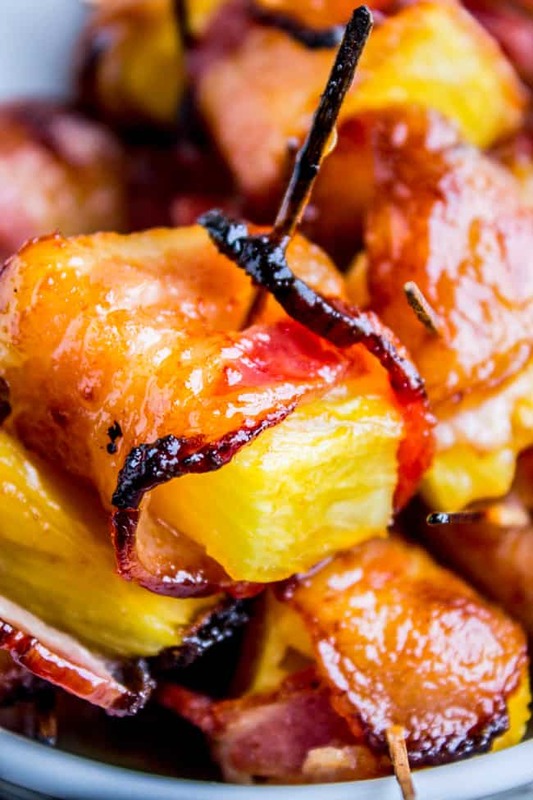 Wrap each piece of pineapple in bacon and secure with a toothpick. Place on the baking sheet. Repeat with the remaining bacon and pineapple. You may have extra pineapple, so make sure you don't touch all of it with raw bacon-y hands. Blend until smooth. I added about a tablespoon of water to help it blend. Once the glaze is smooth, pour it into 2 small bowls. Bake at 400 for about 20 minutes. When the bacon is as crispy as you like it, remove from the oven and use a (clean) pastry brush and the second bowl of glaze to coat each one again. *1 pepper from a can of chipotle peppers in adobo sauce. You can find it on the Mexican food aisle. You will rarely ever use an entire can of chipotle peppers. I always open a can, take what I need, and freeze the rest in a ziplock. It you plan to serve these a little while after they come out of the oven, wait until the last minute to add the second coat of glaze. You can assemble these ahead of time (like 1-2 days before your event). Keep them covered in the fridge. Glaze and bake them just before serving. 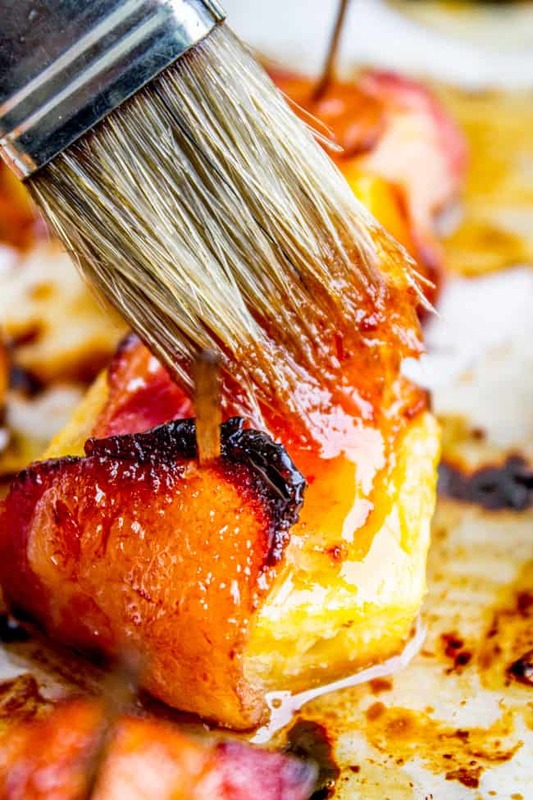 Bacon Wrapped Potatoes << so easy and satisfying! 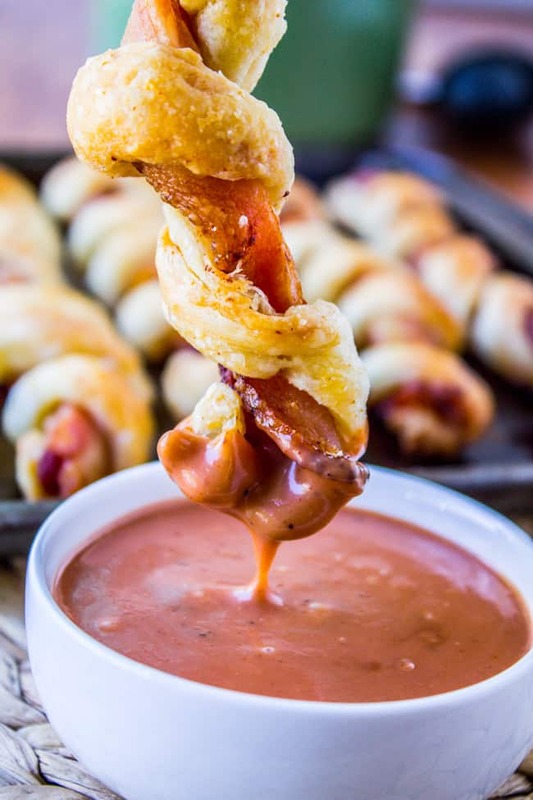 Puffy Bacon Twists with BBQ Ranch Sauce << bacon n’ bread. Nuff said. 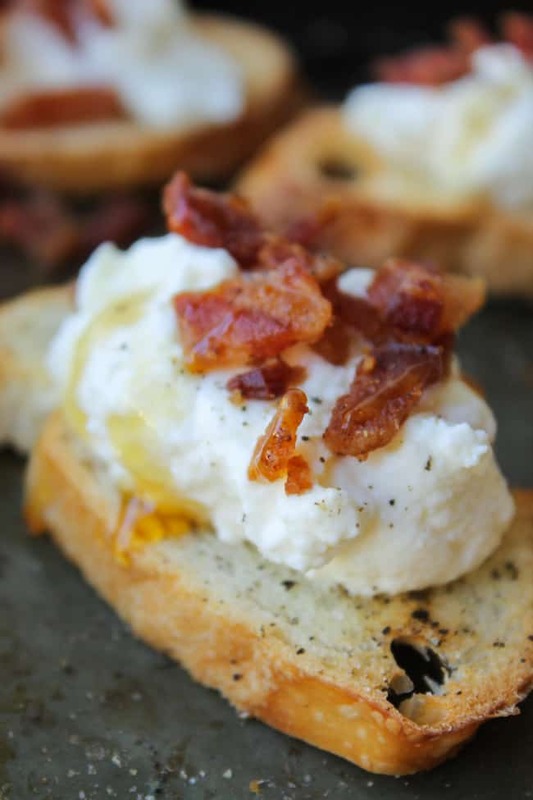 Bacon Ricotta Crostini << this remains as one of my TOP appetizers that I make for any party. 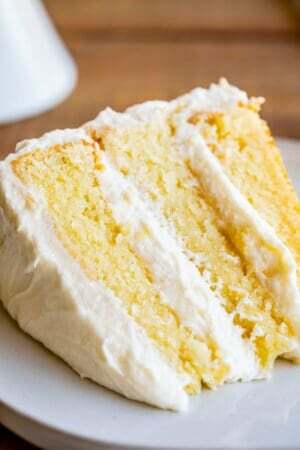 So easy, so good. 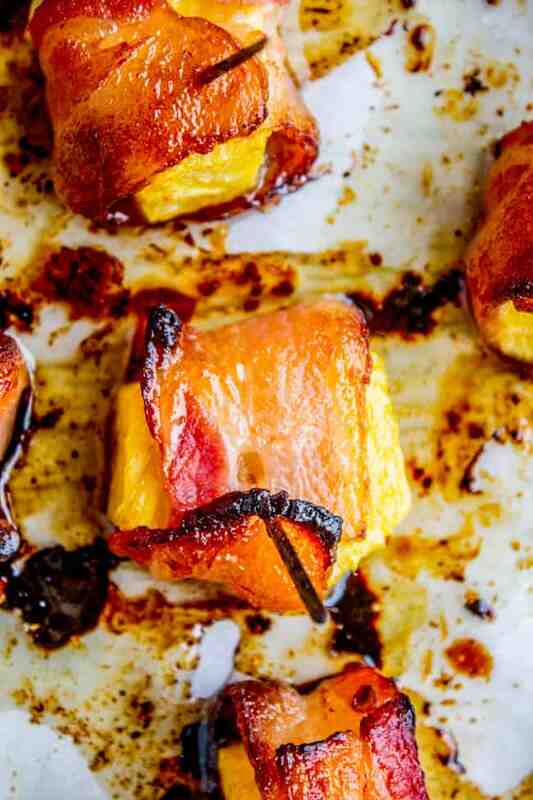 Bacon Wrapped Grilled Peaches with Balsamic Glaze from FoodieCrush <<um, wow. This post has affiliate links. Thanks for your support! I have tried this several times and the bacon is just dissolving from the pineapple. Any ideas? Hey Wanda! 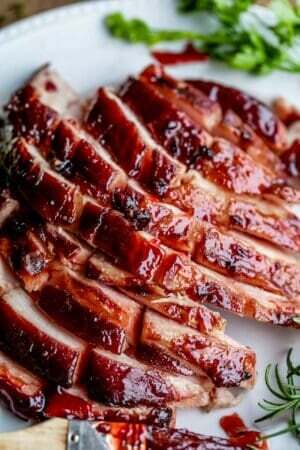 Try using thick cut bacon!! wondering if you think these would do well on the grill? It’s going to be in the upper 90’s here this week and I really don’t want to cook inside. These look and sound so good! Hey Belinda! I haven’t tried it but I’m sure it would work. Look up bacon-wrapped grilled recipes for timing estimates. Let me know how it goes! Enjoy! 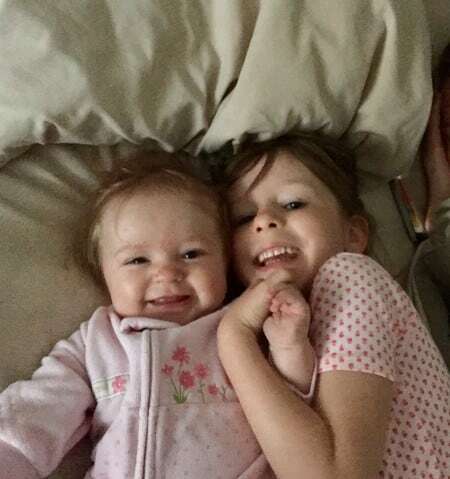 I love these lil devils! I have a nice lil tip I’d like to share with you. Before you back them, line the cookie sheet with the cheapest loaf of bread you can buy or even hamburger buns. Then when you bake them the grease is absorbed and you just toss the bread out. Also I’ve been laughing about the guy that said he thought you were a more sophisticated blog or whatever word he used. So funny! 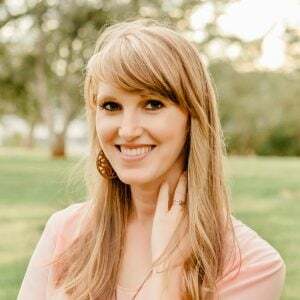 Great idea Christine! I’ve never tried that before! Thanks for the tip. Oh and yes, anyone who thinks the food Charlatan is sophisticated has another thing coming. haha! !